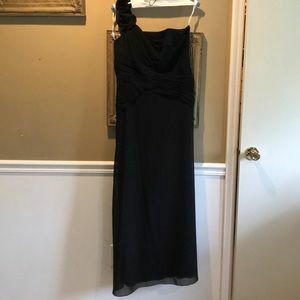 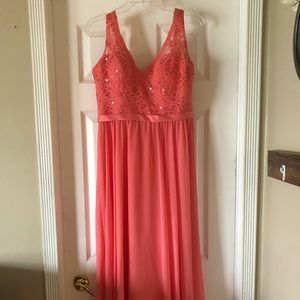 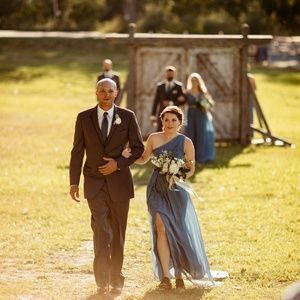 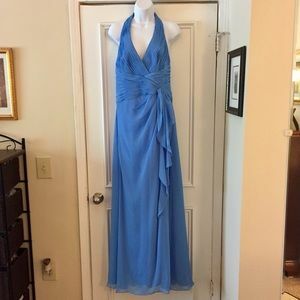 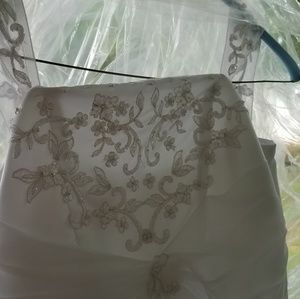 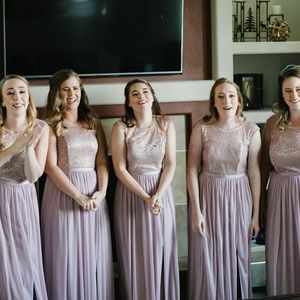 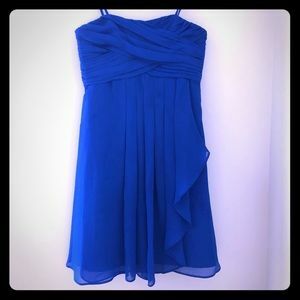 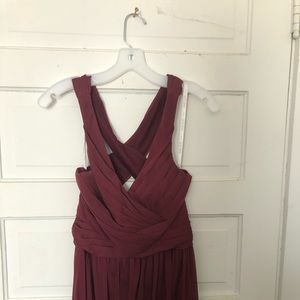 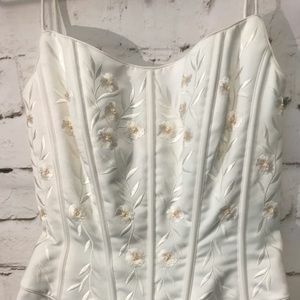 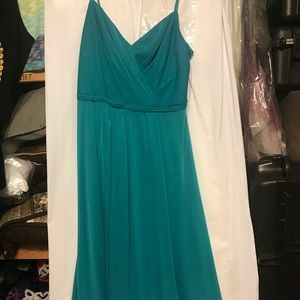 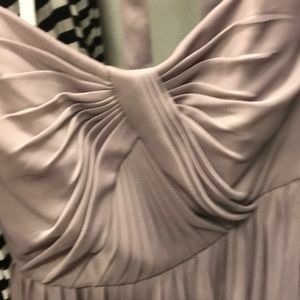 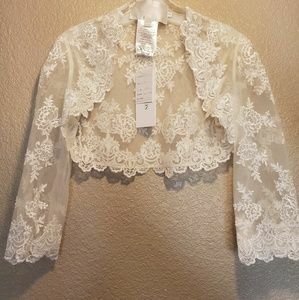 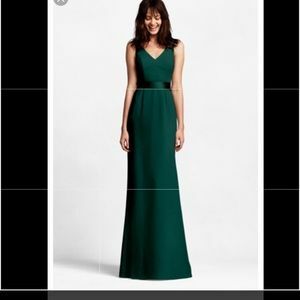 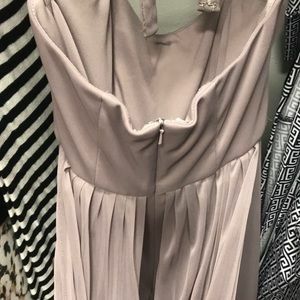 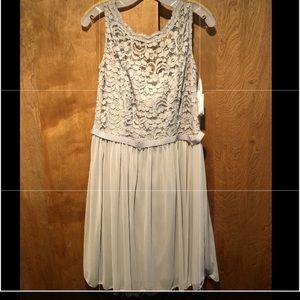 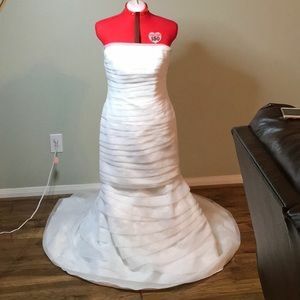 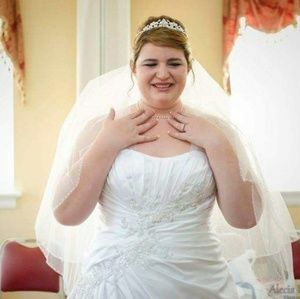 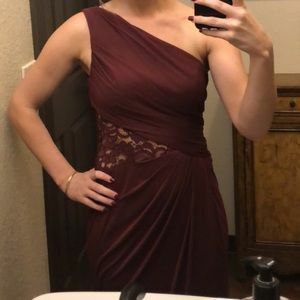 A Davids Bridal bridesmaid convertible dress. 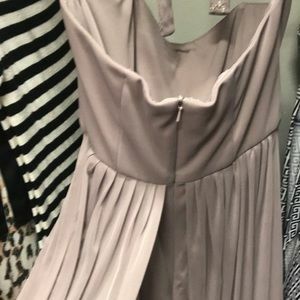 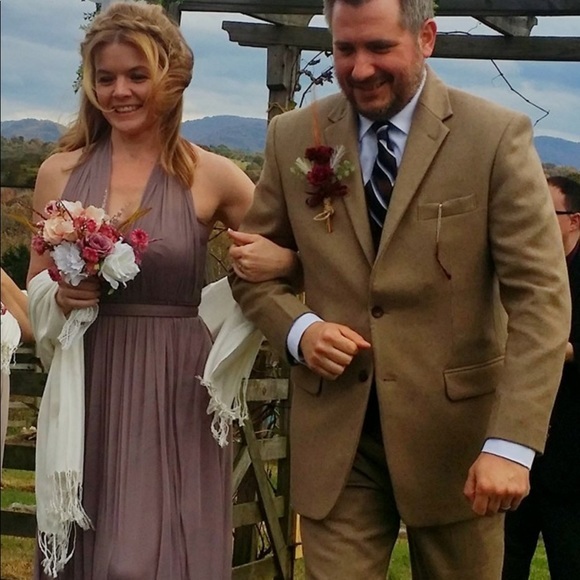 This is a convertible Davids Bridal dress in size 0 and the color is Portobello. 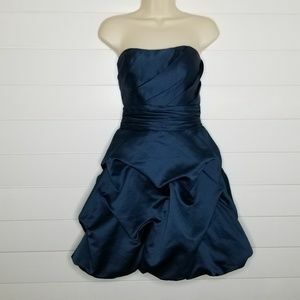 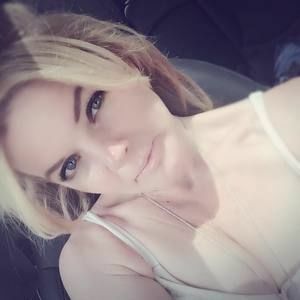 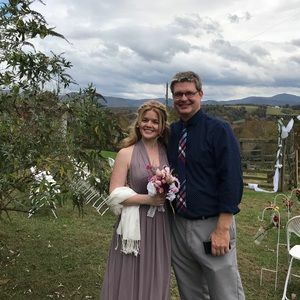 I only ware it once for a wedding last yr in Virginia. 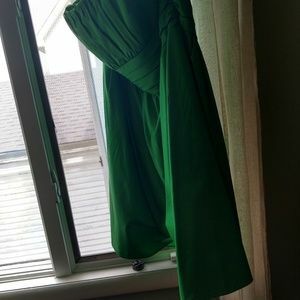 I did have it hemmed because i am only 5’. 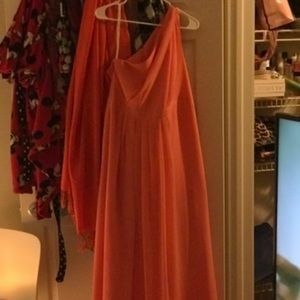 I did have it dust the floor with 6” heels though, so its still a good length. 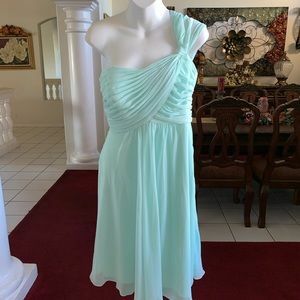 It has a belt and can be worn in at least a dozen ways. 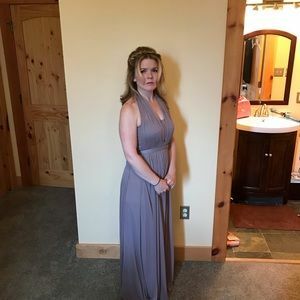 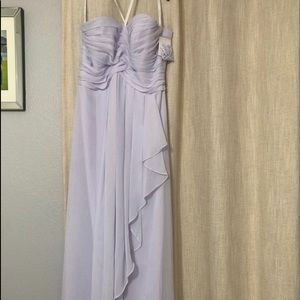 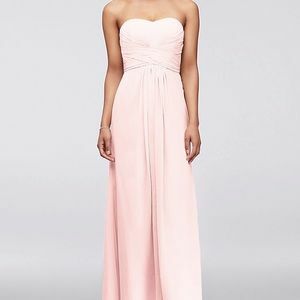 Bridesmaid Dress. 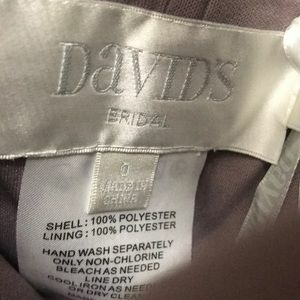 David’s Bridal. 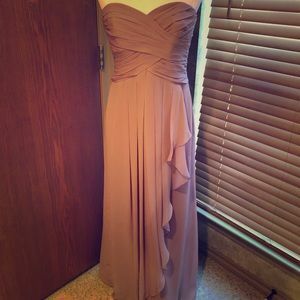 Style F19704.